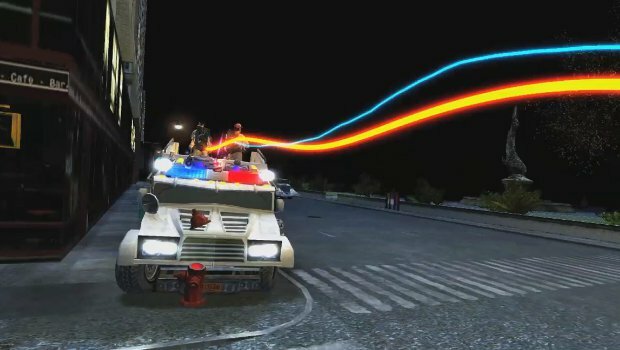 Atari has released the downloadable Ghostbusters: Sanctum of Slime for PC, PlayStation 3 and Xbox 360. To coincide with said release, there's a new, rather brief trailer to hype you up. I don't know how effective the trailer actually is, as it doesn't seem to do a fantastic job of making the game look good, but it's here nonetheless. Regardless of how apathetically marketed it is, I want this game. I also want people who will sit on a couch with me and play the game. Without one hand to wash the other, there doesn't seem to be much point but I'll probably just buy it anyway because it's Ghostbusters. I'm such a glutton for media and I spend $10 on coffee some days.